In recent years the topic of climate change has come to the foreground of research, leading to changes in UK and global policy making, but understandably the topic has led to debates over the most effective use of land. Research on the subject has indicated that second-generation (2G) bioenergy crops can be grown on land not suitable to food production, provide energy more efficiently than first-generation bioenergy crops, and even capture carbon from the atmosphere and return it to the soil. However, one gap that remains is how planting 2G bioenergy crops affect the ecosystem as a whole. A good way to evaluate the impacts of land use change (LUC) on the ecosystem is to look at ecosystem services that include provisioning, regulating, supporting and cultural services, which provide a number of vital seethe first MAGLUE research paperrvices for society. We know isolated effects on ecosystem services such as planting willow increases biodiversity compared to arable crops, or that soil quality improves when transitioning from arable land to short rotation coppice (SRC) trees. However, we do not currently have a complete picture of the overall impacts on ecosystem services and how these differ spatially across GB. Through the MAGLUE project, novel research by Suzanne Milner from Gail Taylor’s lab at the University of Southampton and collaborating Universities have published the first assessment of the predicted impact of LUC to second-generation bioenergy crops on ecosystem services resolved spatially for GB. 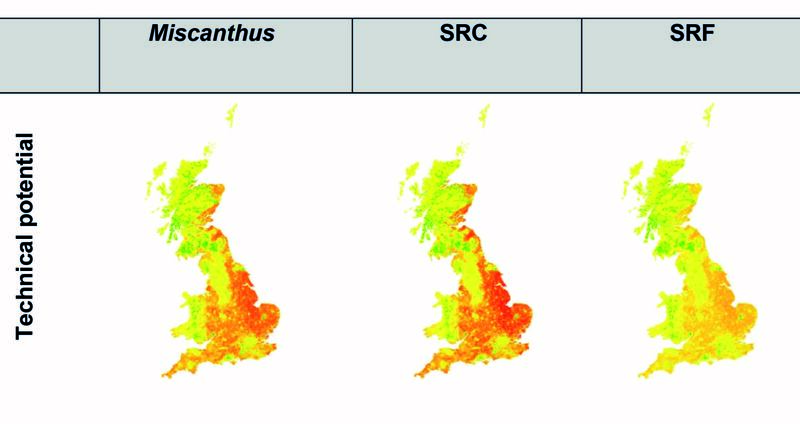 It was found that LUC to SRC has the potential to result in the most positive effects on ecosystem services with South England holding the highest potential. A large proportion of the land where planting of 2G crops is possible and cost effective (87% Miscanthus and 82% SRC) can be allocated to agricultural land class (ALC) 3&4, reserving the best quality land (ALC1&2) for food production. Of this identified land, there was a predicted positive effect on ES on 99.61 % for Miscanthus and 99.19% for SRC. Therefore large areas have been identified that hold potential to efficiently grow 2G crops for energy while positively influencing the environment and minimally competing for land used for food production.